Description: Lt. Gen. James Longstreet took charge of the Department of Virginia and North Carolina on February 25 and initiated his Tidewater Operations. 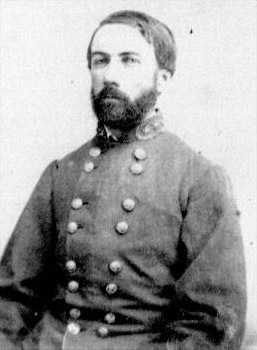 He directed D.H. Hill, commander of the North Carolina District, to advance on the Union stronghold of New Berne with about 12,000 men. Maj. Gen. William H.T. Whiting, who commanded the Wilmington garrison, refused to cooperate. After an initial success at Deep Gully on March 13, Hill marched against the well-entrenched Federals at Fort Anderson on March 14-15. Hill was forced to retire upon the arrival of Union gunboats. The city’s garrison was heavily reinforced, and Hill withdrew to threaten Washington, North Carolina. The Battle of Fort Anderson, also known as the Battle of Deep Gully, took place from March 13 to March 15, 1863, in Craven County, North Carolina, as part of Confederate Lt. Gen. James Longstreet's Tidewater operations during the American Civil War. Lt. Gen. Longstreet took charge of the Department of Virginia and North Carolina on February 25 and initiated his Tidewater Operations. He directed Maj. Gen. D.H. Hill, commander of the North Carolina District, to advance on the Union stronghold of New Bern with about 12,000 men. Maj. Gen. William H. C. Whiting, who commanded the Wilmington garrison, refused to cooperate. After an initial success at Deep Gully on March 13, Hill marched against the well-entrenched Federals at Fort Anderson on March 14 and March 15. Hill was forced to retire upon the arrival of Union gunboats. The city's garrison was heavily reinforced, and Hill withdrew to threaten Washington, North Carolina.